This saying has been around forever, probably because it's always been difficult to find reliable, efficient, and effective help -- especially when it comes to cleaning your home or office. So when you find somebody you like, it's usually a good idea to stick with them. If you use Carvalho's Cleaning to keep your home or office clean, why not let us keep your office or home clean as well? In other words, if we are doing a good job cleaning your home, shouldn't we also be cleaning your office? And if we are keeping your business looking its best, don't you want the same quality in your home as well? 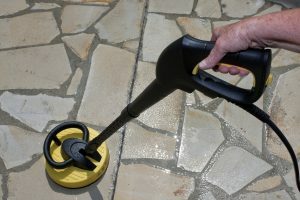 A lot of cleaning companies will specialize in commercial cleaning. Others will focus on residential cleaning. At Carvalho's Cleaning, we do it all. We have a long list of both commercial cleaning clients and highly satisfied homeowners who rely on our services to keep their businesses and houses looking their best. Carvalho's Cleaning is one of the few cleaning services in South Florida that excels at both. So if you happy with the job we are doing in one place, you should really consider us doing the other for you as well. You will be just as happy with the way we clean your office as you are with the way we clean your home, and vice versa. It's hard to find a cleaning company that is trustworthy, reliable, and highly effective at keeping your space clean. That's why you should double down on your cleaning with Carvalho's Cleaning. If you are happy with one, you will be thrilled with the job we will do at the other. So call today to make your initial cleaning at both your home and business.